Connie Efird passed away in peace surrounded by loved ones on January 27th, 2019. She was a beloved wife, mother, grandmother, aunt, sister and friend. She was born in Wilmington, North Carolina and spent her childhood in Greensboro, North Carolina. In 1965 Connie moved to Charlotte to attend beauty school and was a successful hair stylist at Collins of Cotswold for many years. She met her husband in Charlotte while cruising on Wilkinson Boulevard. She and her husband, Garnald O. Efird, Sr., were long time business owners of Efird’s Interiors, Inc., a furniture and lighting showroom on Monroe Road. She was very athletic and loved playing tennis and swimming. Her greatest joy was found in her grandkids. She loved cheering them on at their sporting events, spending time together, exploring, hiking and treating each one to personal time. She actively encouraged each of her grandchildren, nieces and nephews to know that they could do anything and that they had her unconditional love. In her youth she found great joy spending the summers in Wilmington NC with her cousins at Johnny Mercer’s Pier. Connie loved the Lord and lived her faith in Christ daily by her example. One of her favorite Bible verses was from Matthew chapter 25 “Whatever you did for one of the least of these brothers and sisters of mine, you did for me.” This is how Connie lived her life. She knew Jesus Christ as her Lord and Savior. Her family knows without a doubt that she is in Heaven and has found peace with Jesus and her family members that have gone before. She attended Carmel Baptist Church and Christ Covenant Church. Connie had a passion for teaching Sunday school, inner city outreach, working with the senior citizens, and hosting summer interns. All were welcome in Connie’s home. 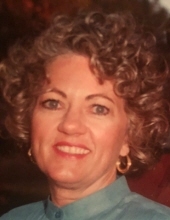 She leaves behind a husband, Garnald Efird, Sr. A son Garnald Efird, Jr (wife Lauren Efird); a daughter Constance Efird Chitwood (husband Randy Chitwood); a son Justus Efird (wife Rebecca Efird); Ten grandchildren: Owen Efird, Hunter Efird, Jacob Efird, Spencer Efird, Roe Chitwood, Scott Chitwood, Constance Chitwood, Holland Efird, Rutledge Efird and Maddox Efird; sister Wanda Faulkner Kelly (husband Bob Kelly) and brother Dennis Faulkner (wife Linda Faulkner); preceded by father Benny Faulkner, mother Lois Willoughby Faulkner and brother Bennie Faulkner. She had very special relationships with her nieces and nephews and their children. Her celebration of life will be on Saturday, February 2nd, 2019 at 11:00 am at Hawthorne Lane United Methodist Church, 501 Hawthorne Lane, Charlotte, North Carolina 28204. Visitation following the service in the fellowship hall. Refreshments will be served. In Lieu of flowers please give donations to Hawthorne Lane United Methodist Church in her name and the proceeds will go directly to Room at the Inn. "Email Address" would like to share the life celebration of Constance F. Efird. Click on the "link" to go to share a favorite memory or leave a condolence message for the family.